Form: A-B-A with a style of variation in the A-section, and the B-section is a contrast so strong that it almost feels like an independent movement. The Sonata op. 27 nr. 1 has the misfortune, one could say, of being the sister-sonata to the famous ”Moonlight Sonata”, which is the Sonata Op. 27 nr. 2. 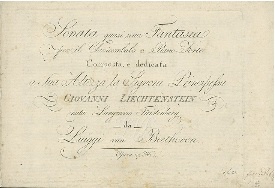 Misfortune I say, since the fact that it shares opus with Beethoven’s most famous sonata seems to have taken away the attention this sonata deserves, both from audiences and pianists. I remember a conversation many years ago with a pianist (who I respect immensely) who was at the time preparing to play all the Beethoven sonatas. To my disbelief, he told me that when he got to the first movement of this sonata he thought it was so boring that his enthusiasm for the whole project dropped. 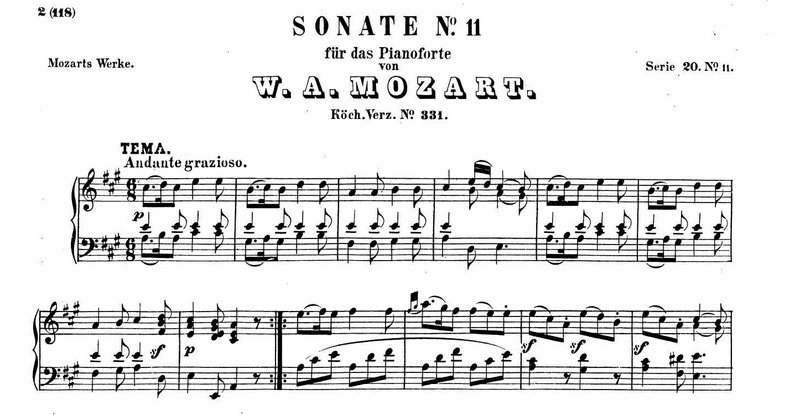 So, to balance that out, I can say that the same first movement inspired me enough to start editing the recordings and writing about the sonatas again, after a few month of hiatus. 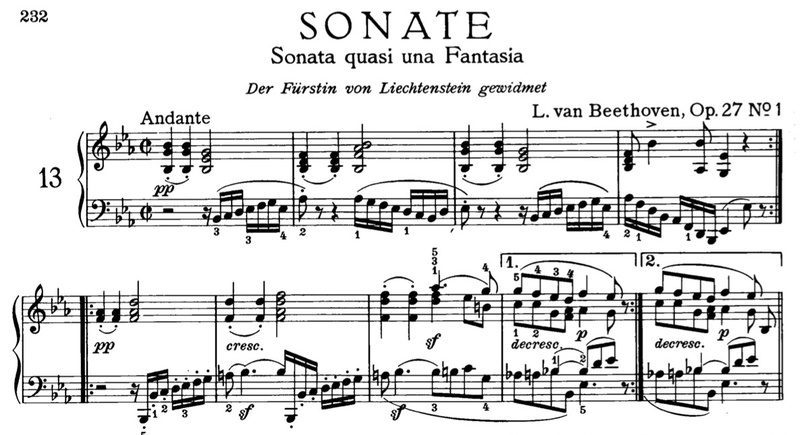 The first movement of this sonata may not have an immediate appeal like the “Moonlight Sonata”, perhaps because its beauty is based on details which are harder to detect, and honestly, often ignored by pianists. Both sonatas in op. 27 are entitled “quasi una Fantasia”, meaning that they were intended to be listened to as pieces in the spirit of an improvisation. The sonata Op. 27 nr.1 is much about Beethoven’s excellence as a pianist; he is showing us what delicate articulation and dazzling virtuosity can create. The piece starts in an almost neutral character. Can “neutral” be a character in music? I think so. The feeling of not really “moving” emotionally gives our ears some space for the little details we need to hear to appreciate the piece. It starts with a “melody” that goes down, then up, then down, and up and down again. It is a bit of an “anti-melody”, which I feel is a little funny. At the same time there is another detail worth listening to: there are two short notes, followed by a long one. This pattern repeats so that it becomes a rhythmic motive. Short-short-looong. Short-short-looong. Let’s listen to this again, but now with the score. For those of you who doesn’t read music, the score tells the pianist to play the first two chords in the right hand portato (meaning that there should be “air” between the chords), and the left hand passages should be first played legato (tied) and then staccato (short). When all those articulations are actually performed, it creates a game where Beethoven is alternating between short notes, long notes and semi-long notes, in other words legato, staccato and everything in between. Do you see that Beethoven have put many more instructions to the pianist in his score? This is partly because times were different when Mozart wrote his sonata, you were not supposed to notate all the details of articulation. But Beethoven’s way of cramming the first two lines with variations of articulation, pianissimos, crescendos, sforzandos…is really making this a headache for the pianist to play. The motives are simple, but to play it with all those detail and still make it sound simple is not so easy. This music plays best in an intimate setting that large concert halls today cannot give. I love playing this sonata in a fairly dry, smaller hall. Then one can really make the audience hear all the little contrasts in articulation. A CD recording is, for this sonata, a better alternative than a 2000 seat hall for sure. And just like that, after listening to this “neutral” beginning, Beethoven reminds us that he can write the most beautiful melody whenever he likes. This whole start has a very intimate feeling, a tenderness in character that I love. A note: listen to the first three chords in the melody. What is it? Our dear short-short-long…but now, completely integrated into the melody. And next, what does Beethoven do? That’s a good question, if I may say so. Because this is how this piece feels and works. That’s what it means to have a feel of improvisation. We listen to a pianist playing, and we think “that’s nice, what’s next?”. So, what is next? Well, Beethoven continues with the shot-short-long motive. But now it’s in a more theatrical, speaking, recitative character. He also, all of a sudden, throws us into a very different tonality, C major. It smells a little Shakespeare, no? Maybe you say now: “where are the feelings, am I supposed to just sit and listen to different articulations?”. Well, then I say that beauty, or moments that we as listeners find appealing in music can be many things. Not only feelings such as sadness, joy, heroism etc. It can be the beautiful sounds made on a piano, it can be virtuosity and velocity and yes, it can be the beauty of different ways of articulation. Sometimes we don’t even know how important articulation is, and what a large part it has. Think of the sounds in popular music you might like: the Hammond organ, the wah wah…they are more about sound sensations than feelings. Beethoven wants a sound effect. Using the pedal on that chord will create a vibrating sound, with the chord “hanging in the air”. So, if the pianist use pedal all over this movement (which I heard many times) it takes away both the effect of this moment and the different articulations in the piece. This movement has tenderness, beauty, virtuosity and such incredible delicacy. One of my favorite sonatas, indeed. This is really helpful, and interesting to read. Thank you! Thanks Lucy, I appreciate that! I agree with Lucy. Your commentary is on target. Thanks! Just found this sonata and fell in love with it – at my age (76) it will be challenging for me to learn to play it reasonably well. So many interesting ideas…! From a pianist, thank you sooo much! Hm, this is strange, they used to work. I have to check on this, thanks for telling. I would like to eventually have them all in audimack as they are in Pastoral. Just takes heck of a time to fix it all, but it has to be done.